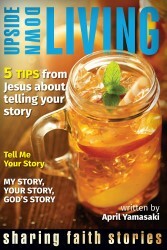 For details and ordering info on my most recent books, click on the cover below. For a list of all my book publications, please see my writing website. If you look at your own denomination’s classified ads or at pastor search sites online, you’ll see a wide range of ads placed by churches and church organizations looking for pastoral and other staff. Jesus sent out the apostles saying: “Proclaim the good news, ‘the Kingdom of Heaven has come near.’ Cure the sick, raise the dead, cleanse the lepers, cast out demons.” (Luke 10:7-8) His friend Bob Dylan said, “The times, they are a-changing!” Can you do what Jesus is calling for in changing times? We’re pretty sure we’re not the best at doing Gospel or changing, but we know we need both. We are a warm and welcoming urban church of approximately 170 members who are seeking to appoint a new pastor with passion for mission and transformation, worship, teaching, care and nurture. We would love to hear from you! Our principal must be passionate about our mission, provide effective leadership, promote a vision for Christian education and build community–both within the school and its supporting constituency. We are seeking a person with a strong calling to serve in this dynamic context. The Applicant must be deeply devoted to Jesus Christ, have good relational skills, possess a good knowledge of God’s Word, good administrative skills, able to delegate, is experienced in planning and implementing children’s programs, and able to work in harmony with other ministry staff. The successful candidate will be a strong, dynamic, spirited leader who will help continue to energize the beliefs of the pastoral charge, ignite our younger generation and maintain the spirit of our older generation. Preference given to God called Spirit filled Bible Believers with recognized education credentials and experience. Exceptions can be made for remarkable anointing. the kind of person we say we want? when discerning a call to ministry? Months ago, I read something online that suggested what pastors really look for in a church is for people to love them. I should have bookmarked the site so I could reference it properly now, but at the time I felt a sense of dismay. Yes, I do love my church, and of course I want them to love me. But that’s the fruit of ministry, not its rationale. Anyone focused on finding a church to love them is probably too needy to be in ministry. As I see it, what healthy pastors look for in a church is a good fit. A pastor who feels gifted in expository preaching looks for a church that values an expository style of preaching. A pastor with a passion for evangelism will want a church eager to reach out. A pastor with a young family will want a congregation that welcomes children. The specific qualities may differ, but the general principle holds. A good fit is the #1 thing that hiring managers are looking for, and that applies equally well to church employment. So how can you tell whether the pastor-church relationship will be the right fit? How can you tell that the prospective principal of the Christian school is the right person for the job? Here are five places to begin. 1. Be honest about who you are. This goes for both prospective employers and employees. Don’t inflate membership numbers or fake enthusiasm for certain things just to make your church or organization more appealing. Similarly for the prospective employee, don’t over-state your qualifications, or try to be someone that you’re not. Some say that during a typical pastor search, both churches and candidates tend to be on their best behaviour, like going out on a first date. But just as with a first date, remember to be yourself. Be authentic. 2. Ask a lot of questions, and be prepared to answer a lot of questions. In many interview and candidating situations, it may seem like the church/employer gets to ask most of the questions. What is your education and experience? How do you understand atonement? What is your view of marriage? But–like being authentic–asking and answering a lot of questions is good for both the prospective employer and the prospective employee. So if the church expects you to be bivocational, what are the job prospects in the area? How flexible are they willing to be with your hours? Does the church have a sabbatical policy? Whatever you’re wondering about, just ask. 3. Work on your church core values, mission statement, profile, or other identity pieces. The more you can tell a prospective pastor/employee about who you are and where you’re going, the better. And that goes for the prospective employee too. What are your personal core values? What is important to you in terms of mission? As a young adult and ever since, writing has been part of my identity and personal calling. 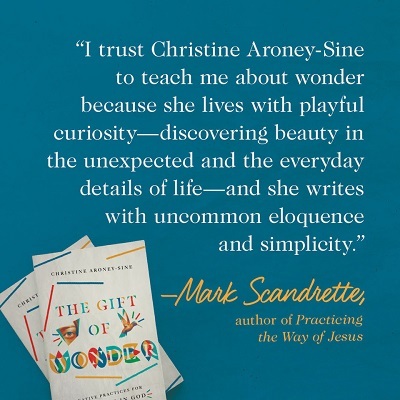 So when my church called me into pastoral ministry, their affirmation of my writing and concrete decision to allow space for it, helped to demonstrate a good fit. 4. Have a clear, specific job description. I understand job descriptions as living documents that may change over time. They should change over time as expectations and roles change and further clarification is needed. But start with as much clarity as possible–which parts of the job description are core, which parts are likely to grow and change? The more you can tell a prospective pastor or other church employee about your expectations the better. As much as I don’t want to over-spiritualize church-related employment by relying only on prayer and ignoring good personnel policy, job descriptions, and other practicalities, I don’t want to under-spiritualize it either. If you’re a prospective pastor or other employee, then pray. If you’re a church or other Christian organization looking to call a new worker, then pray. What makes for a “good fit” in church employment, and how can you tell? What would you add to this list of ways to ensure a good fit? Please see below to share this article or leave a reply. Due to the sensitive nature of employment matters, all comments will be moderated before appearing on this site. 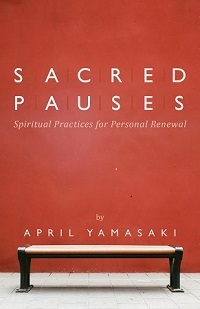 April Yamasaki Resident Author with a liturgical worship community. Editor of Purpose: everyday inspiration. 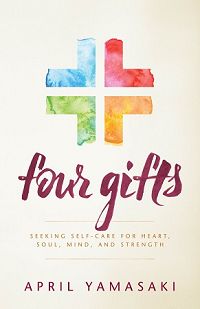 Author of Four Gifts, Sacred Pauses, and other books on Christian living. Blogging on Writing and Other Acts of Faith (aprilyamasaki.com) and When You Work for the Church: the good, the bad, and the ugly, and how we can all do better (whenyouworkforthechurch.com). Previous article	← What Do You Do When Your Job is Terminated?